It's football season. My husband is pretty much glued to the TV on Sundays. 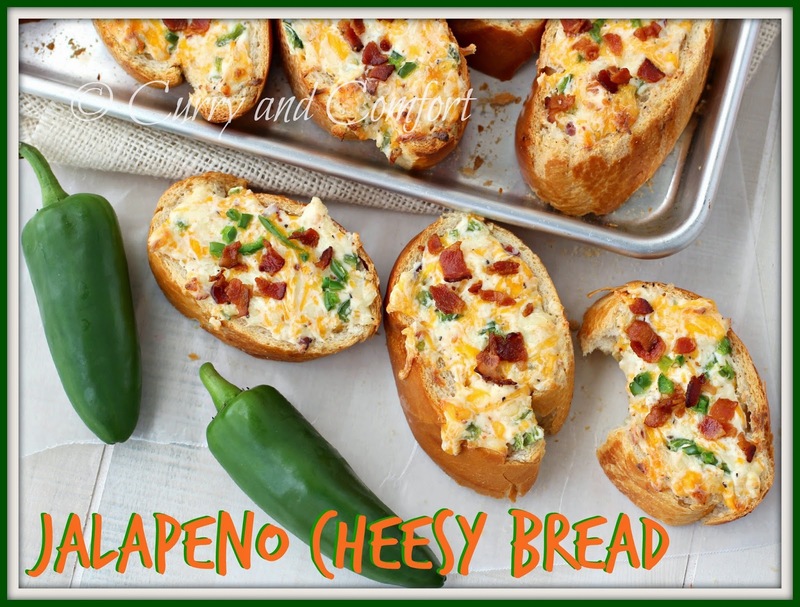 It's time to come up with some great game time snack foods and this Jalapeno Cheesy bread is perfect. It's not too big like a slice of pizza, so you can hold a slice in one hand and still cheer the game on or hold onto the remote with the other. 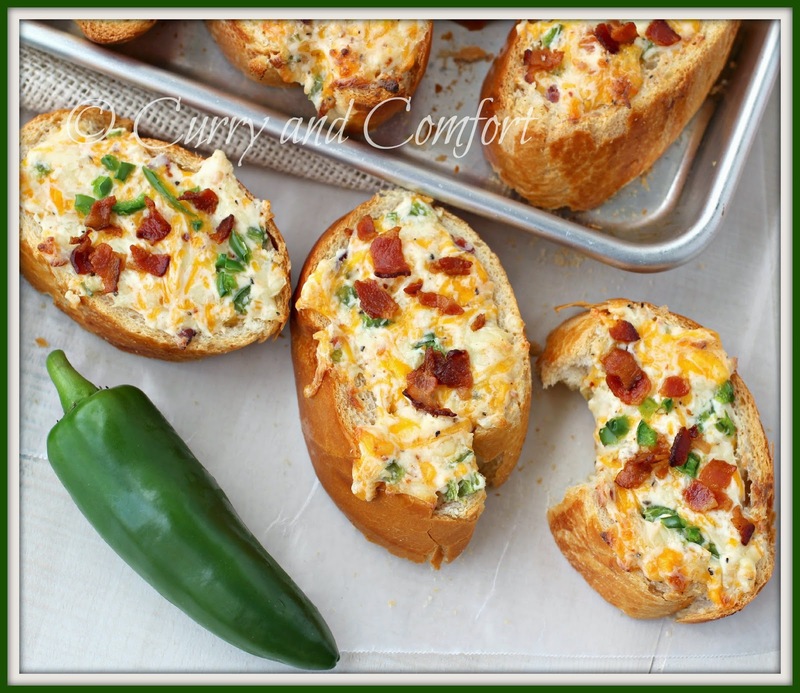 My kids don't watch the games, but they love the snack foods and this one was a winner with everyone. The best part was it was easy to put together and only took a few minutes in the oven so I was in and out of the kitchen in no time. 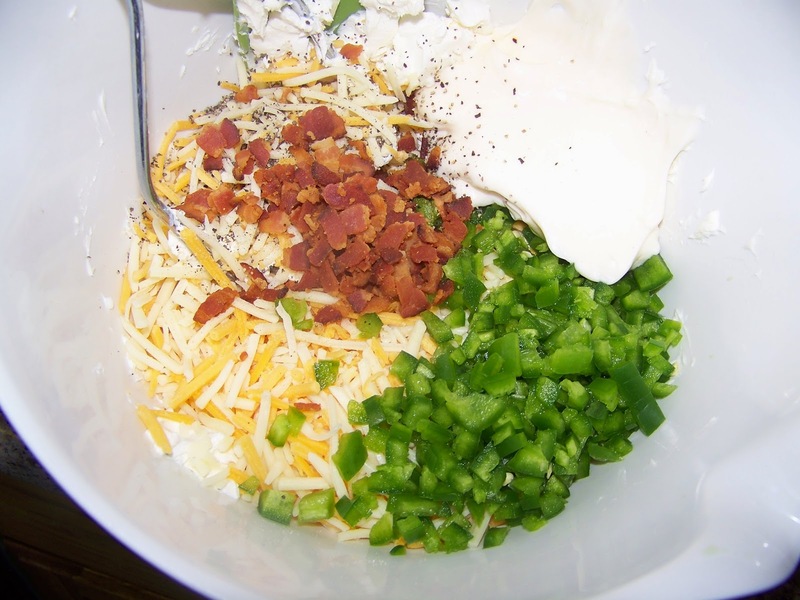 Mix cream cheese, mayonnaise, jalapeno peppers, shredded cheese, garlic powder, red chili flakes, salt, black pepper and crumbled bacon. Slice bread and butter one side lightly. 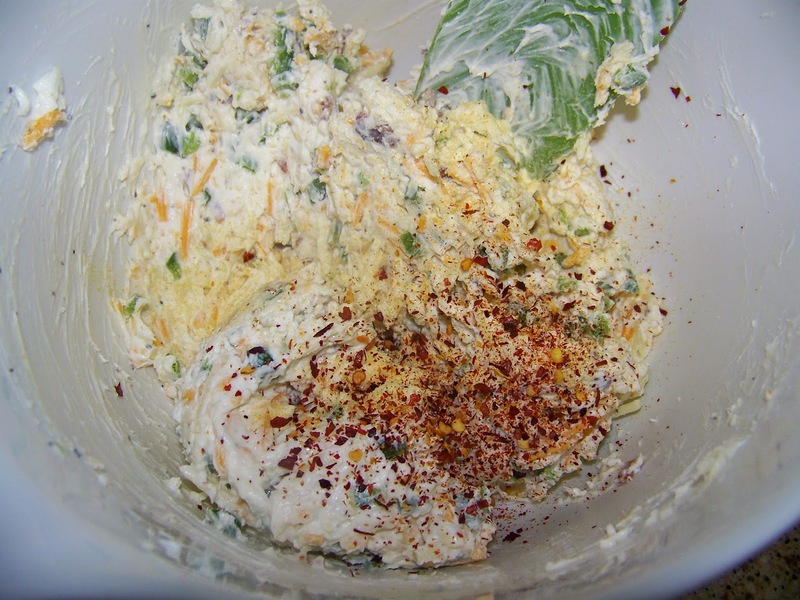 On top of bread place the cream cheese jalapeno spread. 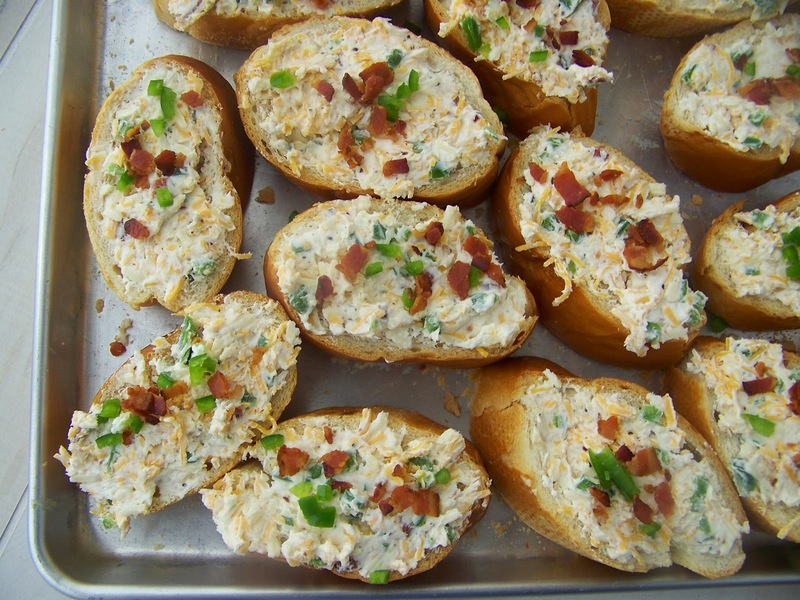 Top with extra crumbled bacon. Bake in a 400 degree oven for 15-17 minutes or until bread is toasted and cheese is melted. Serve hot. Enjoy. This is right up my alley. A perfect dinner for me. Bread, cheese and a little bit of jazz. I'm with the kids. Don't watch the games but I love the snacks! 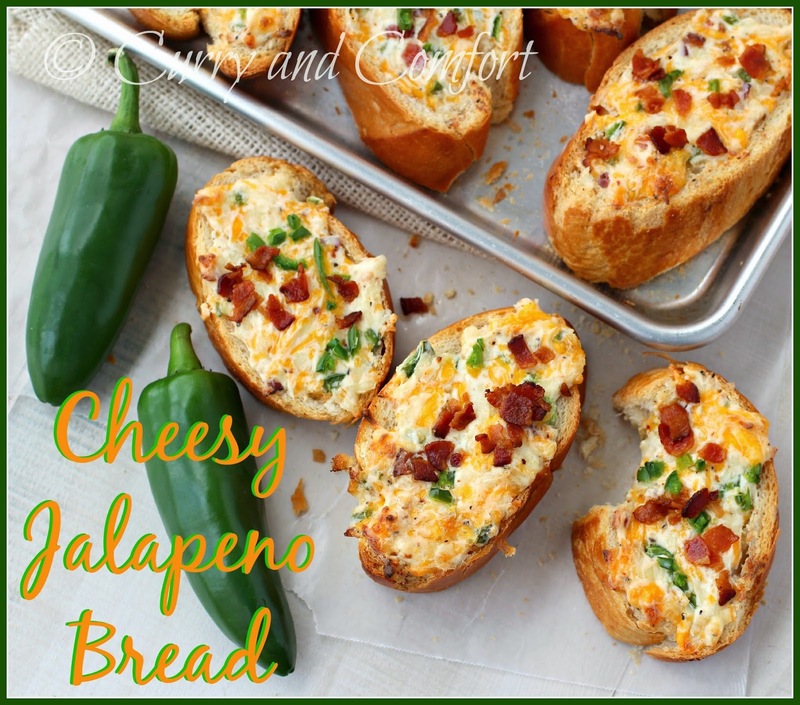 Gabbi is into cheese bread these days and hopefully she'll like this. My mouth is burning and happy! YUM!